Eating is usually an enjoyable and often sociable activity but for migraine and other headaches sufferers certain foods can have a very painful effect. Identifying and managing triggers of migraines is an important part of healthy living. It can be frustrating trying to determine which food triggers an attack because it may be a specific combination of foods, or perhaps the addition of stress that day, which triggers the headache. Other food-related factors such as weight control, blood sugar and caffeine are also important to monitor. 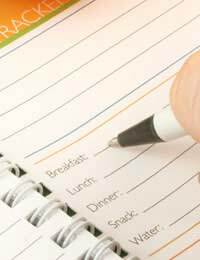 It may be helpful to maintain a food diary to help you identify precisely which foods are triggering your headaches. If you can observe exactly what you ate on a particular day when you experienced a headache, and see if the same foods or combinations trigger a headache on another day, it might be wise to limit consumption of the food to see if your headaches decrease. Caffeine is the subject of considerable interest because it has very different effects on migraine. Excessive caffeine, which usually entails more than one or two cups of coffee a day, can trigger headaches. If, however, you're not a regular caffeine consumer, one cup of strong tea or coffee can provide migraine relief. Caffeine constricts the dilated blood vessels in the head and also increases the potency of pain medication. If you read the ingredients in over-the-counter headache formulations, you may notice that in addition to the active pain relief ingredient such as ibuprofen, caffeine is also present. It has been suggested that blood sugar is involved in triggering migraine and headache attacks. Blood sugar levels fluctuate regularly, based on intake of food and medications; various hormones also regulate levels. When the blood sugar levels drop too low, hypoglycaemia can result. When this occurs, the brain does not receive enough glucose to function properly and the body responds by releasing hormones, which in turn release glucose into the blood stream. Blood pressure is raised and blood vessel diameter is also affected, leading to headache pain. Try to eat consistent, well-balanced, smaller meals whenever possible to avoid the highs and lows of blood sugar. Be sure to include adequate fibre and aim for complex carbohydrates such as whole grains instead of white flour based products and sugars. There is a great deal of controversy regarding the impact, if any, that obesity has on migraine headaches. Some studies have shown no correlation at all, while others have suggested that obesity does not cause migraines or affect the frequency, but can increase the severity and duration. One factor to keep in mind is that someone who has a lot of stress in his or her life may use food to cope, leading to an unhealthy weight. Stress has been linked to headaches and as such, it may wise to address stressful influences, and dietary changes can then follow. In simplest terms, weight gain occurs when energy consumed is greater than energy burned. You can create a caloric deficit through diet, exercise or both. If you are overweight and suffer from headaches, a 500kcal deficit each day is a good way to lose weight slowly and you are more likely to keep it off than if you create an unreasonable and unsustainable large deficit. As always, speak to your doctor if you think your weight may be contributing to headaches and ensure you have his or her approval before embarking on a weight loss plan. Diet certainly isn't a standard treatment for migraines and other headaches, but monitoring and reducing or avoiding some food triggers could possibly make a difference in the frequency and severity of headaches. It's important to speak with your doctor before eliminating any foods, particularly as you want to be sure you don't end up with vitamin or mineral deficiencies from a highly restrictive diet. Ultimately, a nutritious well balanced diet that incorporates a variety of foods is the best approach, with careful monitoring of those foods that seem to trigger headaches. Bon appetit!